Music has always been a vehicle for expressing protest. 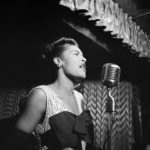 Billie Holiday’s courageous challenge to racism in Strange Fruit back in 1939 inspires me. Through the encouragement of many I have recorded and released my new song White Sheets in The White House. May it inspire others to do the same. White Sheets in the White House was recorded and filmed at Creation Audio in Minneapolis, Minnesota. 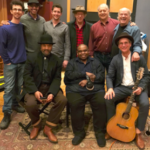 Grateful beyond measure for the vocal support of Robert Robinson & Van Nixon; Sid Gasner (bass), Joe Savage (banjo, pedal steel), Daryl Boudreaux (percussion); Engineers Steve Wiese & Miles Hanson; Director Alan Smithee and my son Jacob for making this all possible. PS. Please Like, Love and Share on social media and help get the song out there. White Sheets In The White House is available on iTunes, Spotify, AmazonMP3, Rhapsody and other e-tailers.